Sharon K. Connell – Page 2 – Stories, Stories everywhere…but which story to write! The Fair and Foul courts of the fey folk have long yearned for one to bring them together in peace, but hopes are dashed when the fairest prince and the prophecy concerning him are laid to ruin. Burdened with shame and sorrow, the prince flees to the cold mountains far above the forests and lochs with nothing but animals and goblins for company. I’d like to thank author, Aimee Bejarano for doing such a great job on my interview. Hope you all enjoy it. Leave a comment. 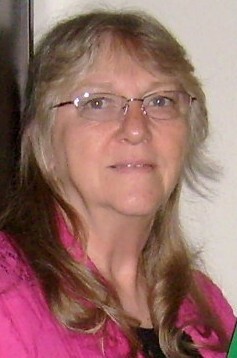 Today I’m ecstatic to interview this wonderful woman again, romantic suspense Christian Author, Sharon K. Connell. Sharon we’re thrilled to have you join us today. The reason I am so excited is because you have been through a long road rather recently… the dreaded rewrite- which is why I’d love your expertise. I think it’s wonderful to rewrite and your insight can also help aspiring authors. We need to know when an author should rewrite and I’d like to discuss the pleading reviews. I call it “pleading” because all of us seem to be posting memes and little snippets to leave a review yet so many never do or they simply forget. Without further ado, let’s get cracking! Would you like to transport your readers right into the story you’re writing? Isn’t that what we want to happen to our readers? Of course it is. After all, we’re writing for the reader’s enjoyment. When I decide upon a character or scene for my work in progress, I first write down all the information I need to know about that character or the setting in which I’ll place that character. Personally, I like using a spiral notebook, but many writers like entering information into a spreadsheet or document online. The problem with that is, you can’t draw a diagram of scenes unless you have a special program for it. You can post a picture in a separate file or maybe even into your document, but I like keeping all the information separated with dividers in a notebook so I can go directly to what I need. Let’s start with the hero or heroine. A basic description of the person comes first, including their age, height and physical attributes. Then I write down everything I think I’ll need to know about this person, things maybe the reader doesn’t need to know but will effect the personality of that character. As I write the story, when I mention something I need to remember about the character, I’ll write it down on their page. When I begin a scene, before a word ever comes out of the character’s mouth or his/her foot takes that first step, I get into their mind. I imagine myself as the character, just as any actor would do on screen, putting myself into that character’s mind, body, and shoes. Think about your favorite character from a book you love, male or female, doesn’t really matter because when you write, you write about both. Close your eyes and picture the character. Now, hear their voice. See what they’re seeing. How does this person respond to what they’re seeing or what’s being said to them. Did someone else come into the room? How do you feel about that other person. You become this character. That’s the way it should be when you’re writing. You become the character and you will write from that character’s point of view. You don’t need to become anyone else in that scene until you change point of view to another person. All that matters is what your POV character thinks. You will write down what your character sees, hears, experiences, feels. Show the reader what that character is seeing by describing it, what they are feeling by their responses, what they are actually doing, etc. For example: Tom glanced around the the dark paneled office. His eyes rested on the antique oak desk, piled high with papers. Thumping came from behind the antique oak desk. He inched his way toward the direction of the sound, which seemed to come from the bottom drawer. With two fingers, he pulled on the handle. A blur of black fur shot out of the drawer making him jolt upright. His heart jumped to his throat. Do you see what I did. I gave you all you needed to picture and feel what was going on and yet never used the words saw, heard or felt. When I took classes in writing, one of my favorite classmates was an actress. She told me how she gets into a role by thinking her way into that character. I’ve tried to apply that in my writing. Regarding scenes, all you have to do is take the established character whose point of view you are now inhabiting, and place them into your scene. First of all, write down everything you will need to know about the scene. Color of the walls. The trees and flowers in a garden. Wherever you have your character, write down the details of everything he/she might see. Don’t forget to put all five senses into action. Is there a particular odor, aroma, or fragrance in the air? A sound in the distance? Once you have all the details written down, go back to that exercise above. Imagine through your character’s eyes what they will see, feel, smell, hear, and taste. As you write the scene, fill in those details. Another creative writer you won’t want to pass up. Some great books at great prices. Don’t miss out. What a deal! I hope you’re enjoying the March month! I’m sharing some awesome sales, releases, and giveaways for Friday’s list. Check it out and Happy Reading! Join the party 3/20 at 8pm EDT!